You may know the story of then-Senator John F. Kennedy’s historic, impromptu stop at the University of Michigan that led to the creation of the Peace Corps. But do you know the story of President Clinton standing in the White House Rose Garden on the agency’s 35th anniversary, officially establishing Crisis Corps? It was 1992 when the Peace Corps approved its first short-term assignments. Ten currently serving Volunteers – six hydrologists and four logisticians – transferred to Namibia, responding to a prolonged and devastating drought. Then in 1994 the world watched in horror as the Rwandan genocide took place. While many wanted to do something, the Peace Corps knew it could do something that was specific, immediate and culturally appropriate. In conjunction with the International Rescue Committee, five currently serving Volunteers were transferred to the Burigi refugee camp where they served for five months training community health workers and empowering refugees to grow their own food. In 1995, Hurricane Luis struck Antigua, and the Peace Corps could not stand by and watch as one of our fellow host countries had to rebuild from scratch. 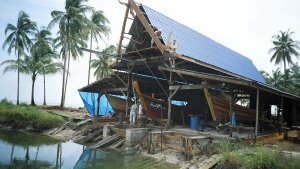 Eight returned Peace Corps Volunteers re-enrolled with the Peace Corps to rebuild homes that had been destroyed and train local youth on hurricane-resistant construction methods. By this point the agency knew it was on to something, and Peace Corps Director Mark Gearan made the formal establishment of Crisis Corps one of his top priorities. President Clinton made it official on June 19, 1996. Throughout the nineties and early 2000s, the small but mighty Crisis Corps continued to send Volunteers around the world to provide post-disaster relief. From Bosnia to Guinea to El Salvador, Crisis Corps signed up hundreds of Volunteers for a second tour with the Peace Corps in order to help communities recover from conflicts, hurricanes, earthquakes and more. 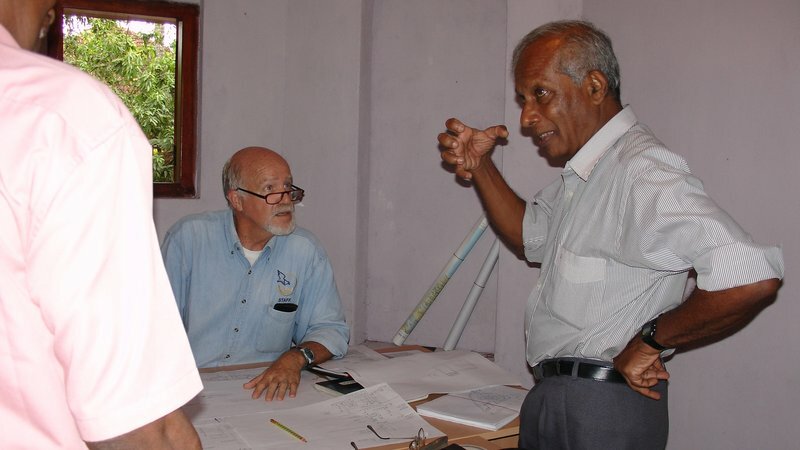 The largest groups of Crisis Corps Volunteers who ever served included the 73 Volunteers who went to Thailand and Sri Lanka following the 2004 tsunami, and the 272 Volunteers who served right here in the United States following Hurricanes Katrina and Rita in 2005. As Crisis Corps became better known, the requests for these specialized Volunteers continued to roll in, even in non-post-disaster situations. For example, in 2004 the first PEPFAR-funded Volunteers arrived in Zambia to train local communities on HIV/AIDS prevention and education. In 2007, Crisis Corps officially became Peace Corps Response, a change that allowed the program to broaden its scope and to continue to meet the specific, critical needs of the host countries where Volunteers serve. Today the majority of Peace Corps Response assignments are high-impact technical assignments focused on building host country capacity. However, Peace Corps Response continues to mobilize Volunteers to disaster areas, most notably the recent deployment of more than 20 Volunteers to the Philippines following Typhoon Haiyan and 12 Volunteers to Micronesia to support rebuilding efforts after Typhoon Maysak. As the program continues to grow, so does the need for experienced professionals. Therefore in 2012, Peace Corps Response expanded to include Americans without previous Peace Corps experience. In Peace Corps Response's nearly 20 years of existence, more than 2,900 Volunteers have served in over 80 countries. Will you join us? Nikola Otlans works for Peace Corps Response in Washington, D.C. From 2005 to 2010, she worked with Peace Corps Bulgaria as an Education Volunteer and a technical trainer.